Duncan won't hold a town hall so let's hold one instead! 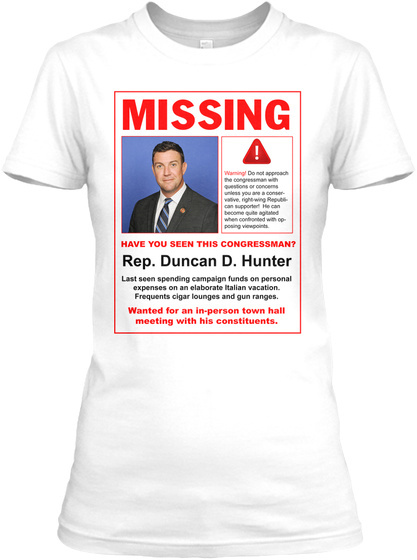 We'll invite to speak anyone that intends to challenge Duncan Hunter for his congressional seat in 2018. Let's discuss the issues that matter most to voters: health care, immigration, fair trade, income inequality, civil rights and equal pay.